Westminster Abbey is where Prince William and Kate are going to tie the knot. It’s a beautiful building that is surrounded by the world’s media and stinking happy campers, getting in early for the prime viewing spot. 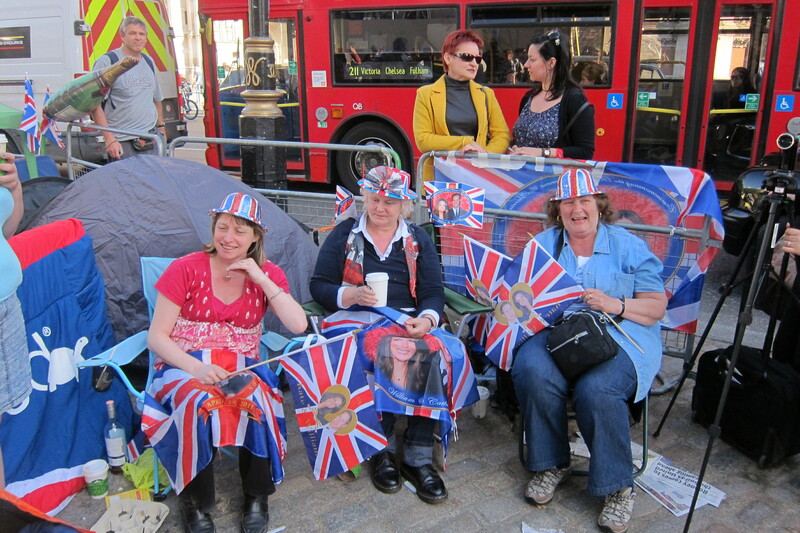 People from all over Britain, Canada and the US have been camped out for days, all sharing the one toilet and taking it in turns to find a shower for a quick scrub. I caught up with my favorite guy who decided he needed to drink beer while laying on the ground outside one of the world’s most famous buildings. Lucky for him he had a blow up bed someone gave him. If you are on an Iphone Click here….. Royal Mate! You have probably seen the next guy on the TV or in the newspaper over the last few days. He goes by the handle, John the Diana Superfan. He has an underwear strategy and a distinct voice that definitely needs to be slowed down! 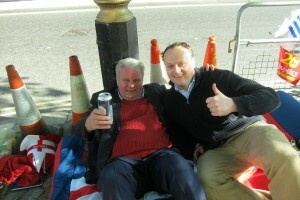 CLICK HERE TO LISTEN to John who is camping out for the wedding. 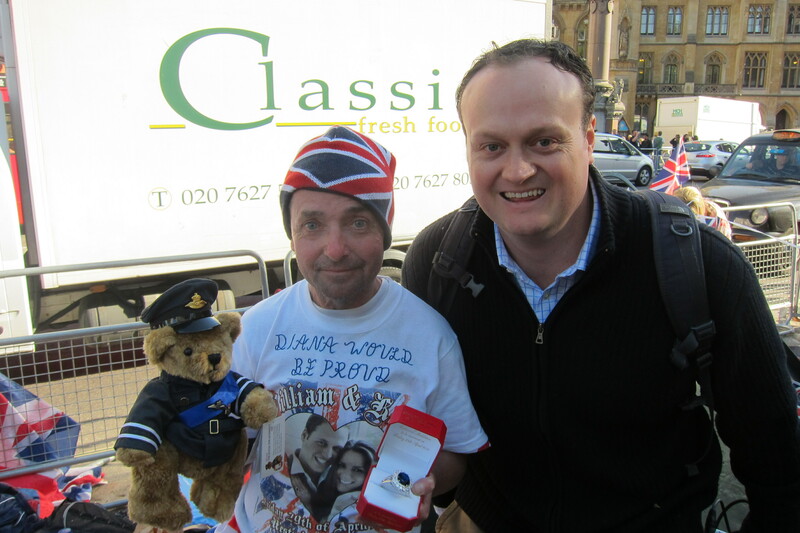 A global event I caught with a very nice Canadian woman who is so excited about Wills and Kate getting married. CLICK HERE TO LISTEN to the Canadian lady.